Just as entire civilisations were nurtured to life by rain-filled rivers flowing through the plains, they have also been wiped out after the rivers changed their course or dried up. The ancient Indus Valley and Harappan civilisations in the north and northwestern parts of India, Pakistan and Afghanistan flourished in the basins of the monsoon-fed waters of the Indus and died as the soil dried up, say scientists. The Western Ghats in Karnataka have the Cauvery and the Kali rivers flowing through them. Recent reports have shown that the Cauvery basin is shrinking while the Kali river catchment area has been affected due to massive deforestation leading to reduced water flow in the rivers. This does not bode well for the fate of the Western Ghats which are a major part of the forest wealth in the country. The Western Ghats cast a spell over those that visit them — the peace of the hills, trees, birdsong and animals in the forests, all living a life of their own in their own languid pace. The flow of water in the Cauvery has declined, say reports and studies, because of overexploitation in the form of dams, irrigation, water-intensive agriculture etc. Meanwhile, rapid cutting of trees in Madikeri, a tourism hotspot, has made the town warmer. The Kali is a major river flowing through the heart of the Ghats with massive rapids attracting rafters. A hornbill reserve in the Dandeli Reserve Forest Area attracts hundreds of tourists. The forests in the area are beautiful. But all this beauty may be shortlived if the rivers dry up! A recent paper in the Yale Journal of Biology and Medicine by a group of scientists headed by Ramachandra, has assessed land use in areas around the Kali river. Remote sensing data has shown that evergreen forest cover has decreased from 61.8% to 37.5% in the river basin between 1973 and 2016. Unplanned human-induced developmental activities have altered the catchment integrity by threatening regional water security due to the conversion of perennial streams to seasonal ones. Natural forest ecosystems in the Western Ghats regulate the transfer of water from precipitation, says the Yale paper. Through evapotranspiration, forests transfer water to the atmosphere leading to the formation of rain-bearing clouds. 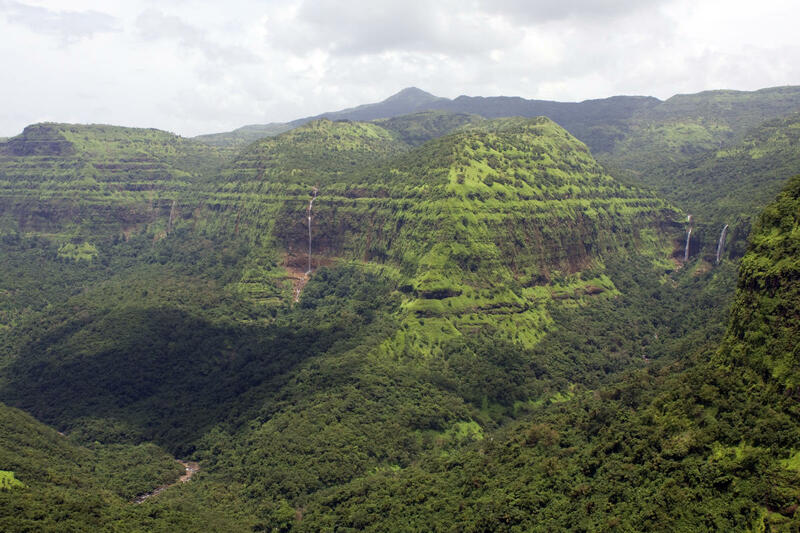 The Madhav Gadgil Committee Report on the Western Ghats submitted in 2011 had recommended that 64% of Western Ghats be declared as ecologically sensitive areas (ESA). It had suggested three levels of categorisation where regulatory measures for protection would be imposed and had recommended the establishment of the Western Ghats Ecology Authority for the management of the Ghats. But instead of being implemented, the report was criticised for being excessively environment-friendly and not in tune with the ground realities. However, after the Kerala floods in 2018, the notions are changing. “The current trend of unplanned urbanisation with deforestation (removal of native forests) in the forested region, abuse of buffer zone in flood plains, the recent state government action of going to court for reduction in buffer zone for Bengaluru’s lakes only highlight how ill-advised our current decision makers are,” Ramachandra says.